iSprint is an initiative by Infocomm Development Authority, SPRING Singapore and Inland Revenue Authority of Singapore to encourage SMEs to use technology to improve or innovate their business operations. 2. What does iSprint cover? 3. Is my bisiness eligible for iSprint? * Computed on a group basis i.e. checking all levels up for corporate shareholders holding 51% – 100% of the total shareholding in your company and all levels down where your company owns 51% – 100% of shareholding in subsidiary company(s). 4. How do I obtain support? 5. When does it end? Until funds run out. Get it NOW! 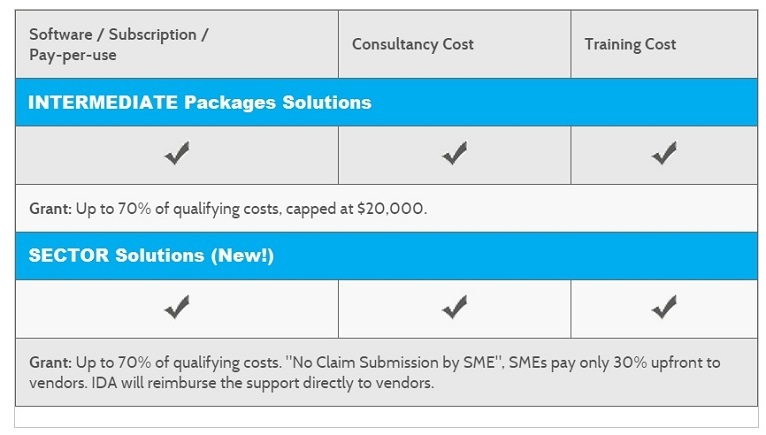 Submit claims with supporting documents after implementation completion. 7. When will I get the benefits?